The Fitness Games that is! 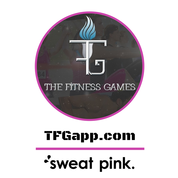 I recently had the opportunity to check out The Fitness Games app for myself. Have you heard of this? You can challenge your friends (or anyone on the app!) to complete a workout and see who “wins”. For example, I was challenged to a 20 minute run and since I ran it slower, I lost (whomp whomp). But the fun is in trying! They have workouts pre-entered to challenge others with or you can create your own…a great feature for a personal trainer or other fitness pro who wants to add their own workout and challenge clients! I think that this app is an amazing idea. But to be honest, I barely used it. First, why it isn’t for me. I usually have a workout schedule set well in advance. I know that I will be in my living room, pushing play most mornings and exactly what workout that will be. I don’t have a lot of child-free time on top of that to spend doing a challenge. The ones that are outdoor, I would either be doing with my daughter or trying to fit it into the small amount of evening time we have. That 20 minute run I “lost”? I was going at an almost 2 year old’s walking pace because she wanted to walk, not sit in the stroller. I also haven’t been running since my 10K, so the running challenges (probably the best for my schedule) didn’t really call to me. But that doesn’t mean that I can’t see the value in it! If you are a competitive person, who wants something in addition to other workouts or as a regular workout with friends, I think this would be a lot of fun. I definitely would have gotten use out of it a few years ago! It also has a social aspect, encouraging you to post pictures/videos and comment on other people’s posts…because if you don’t post about it, it doesn’t count, right? We’re nearing October! 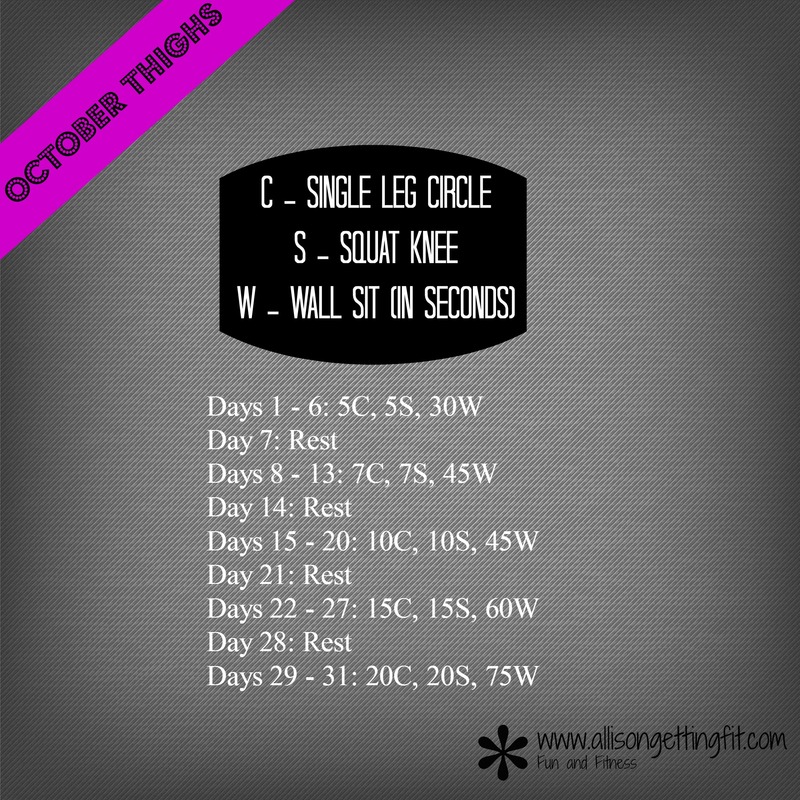 So to wrap up September, here is the October challenge I have planned! I run these Facebook-based monthly groups to give you a mini-workout to fit in quick, repetitive exercises that will have you feeling confident and stronger by the end of the month if you play along. They take just a few minutes, and I post at least daily to keep you going. Let me know if you’d like to join in for October! Also to clean up September, the 21 Day Fix challenge pack is discounted until the end of the month! Get a great deal and set yourself up for success with this program plus an accountability group to keep you motivated! You can join my group for information here. If you don’t know much about the program, it’s portion controlled eating plus daily workouts to get you quick results and set up a habit of fitness. Okay…that’s it for now, but stay tuned for some more program news and information! Lots of exciting things coming up! I fell into a Facebook group black hole today…I created a group to get information on my next group! Probably funny to no one but me, but maybe you share my nerdiness. I wanted to come and invite you all to check out this group as well. A friend and I are preparing for our next 21 Day Fix challenge group with a group to give you the answers to the questions you might have. I plan to share some privileged information in this group, and hope that it clears up what the program and our group are all about. Besides motivation and results of course. You are welcome in the group as well…join us here , ask questions, or just wait and hope someone asks any questions you have. Whether you have no intention of doing something now and just want to join in and hear things or you are thinking this may spark things for you. We do ask that you are not a coach or working with one…I’m sure yours would be happy to answer your questions, so reach out to them! They’d love to hear from you! So I’m off to go add some info to the group. I hope to see you there! We went to a Zumbini (Zumba for the little ones) class yesterday. It was super fun and I may see if we want to swing more classes. Watching my kiddo jump around and dance was a blast! This says Hello. The back of her shirt says Goodbye! That’s not what this post is about though! On the way home, I was thinking about what I thought being a mom would look and feel like and what it actually is like, almost 2 years in. One of the things that popped into mind was that I thought we’d be more put together…that at least if I didn’t look together, my child would. A lot of times, that isn’t the reality…though we start there for the most part! But kid things happen and it was oh so funny to look at us when we got home. 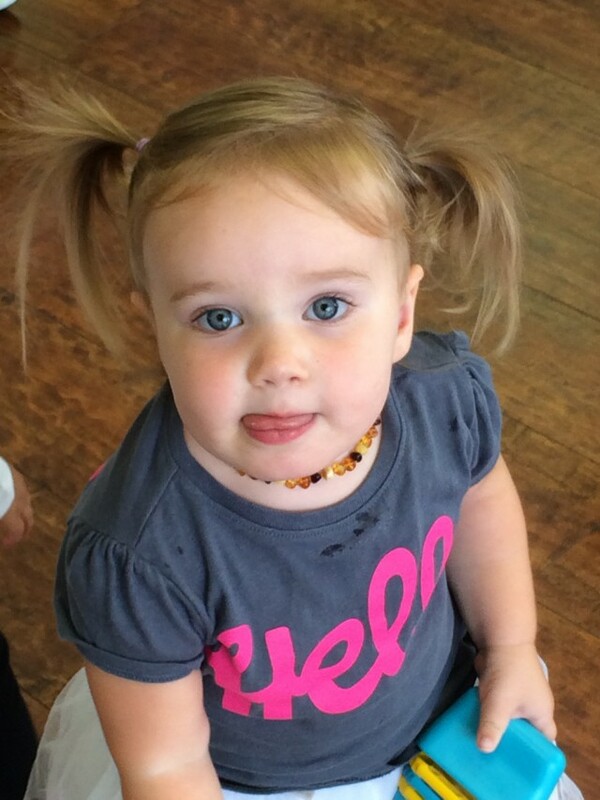 My daughter left in adorable and neat pigtails. Cute outfit of skirt, shirt and leggings. Clean face. Well, a teething toddler is probably not going to keep up her appearances! I got her out of the car with messy pigtails, hair about half out of them. Skirt all bunched and looking crazy. Snot and drool all over the place (but the teething snot is clear, so one might miss that!). Me? I left in glorified yoga pants and a fitted t-shirt. Hair wet because I just got out of the shower. Breakfast (a yogurt and fruit smoothie) in hand. At home? A wet pocket that I threw a wipe in and never tried to find a receptacle for. Hair that dried weird with a lock right in my face. Oh yeah, and yogurt smoothie all over me, the car, and I’m sure things I haven’t found yet. Which I didn’t notice until I was home, even though there were mirrors all over Zumbini. But, there is an upside. We were too focused on the fun to notice any of this while we were out at the class. There, it was all about the fun. The fun is the point. Sure there’s learning in the fun (yesterday involved some sharing lessons…sometimes you’d think she never played with others and not that she does every day! ), but at almost 2, we’re all about fun. What perceptions/realities did you have differences in? I have a lot more to share! Once upon a time, I lifted heavy weights in the gym. I wouldn’t be a member of a gym without a squat rack. I only used the cardio area for a quick warm up most days. Then I started working out at home, thinking I couldn’t do that anymore without a huge expense and area. Not that Les Mills Pump wasn’t great also! I loved that, but it is high reps. It’s just different. This is low reps, heavy weights with rest in between sets. You lift heavy enough weights that you feel you may not last the 8-15 reps. Do you know how lifting to failure feels? Maybe awesome? I love it. And *newsflash* I’m a girl! 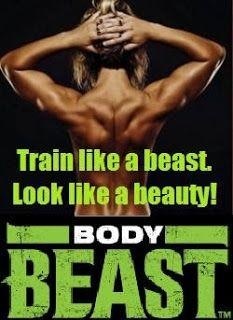 Ladies, you wont get bulky or big or whatever you think of when you think of bodybuilding. You will get lean definition. How does that sound? Crazy good, right? So maybe try it out…why not? And as a bonus, maybe your significant other will do this one with you? Maybe? It’s not the jumping around in your living room type of workout…even the cardio workout is beastly. Switching gears, a number of people have searched “21 Day Fix while pregnant” to get here. Talk to you doctors ladies! While I think it’s a great program for life and longer, it may not be right for your pregnancy. If you want to talk it out with someone after talking to your doc, I’m happy to chat. I didn’t do it while pregnant (it wasn’t released yet!) but I’ve done the 21 Day Fix and have been pregnant. Happy to help out! Comment or email me. This week, I started a new (to me) program. 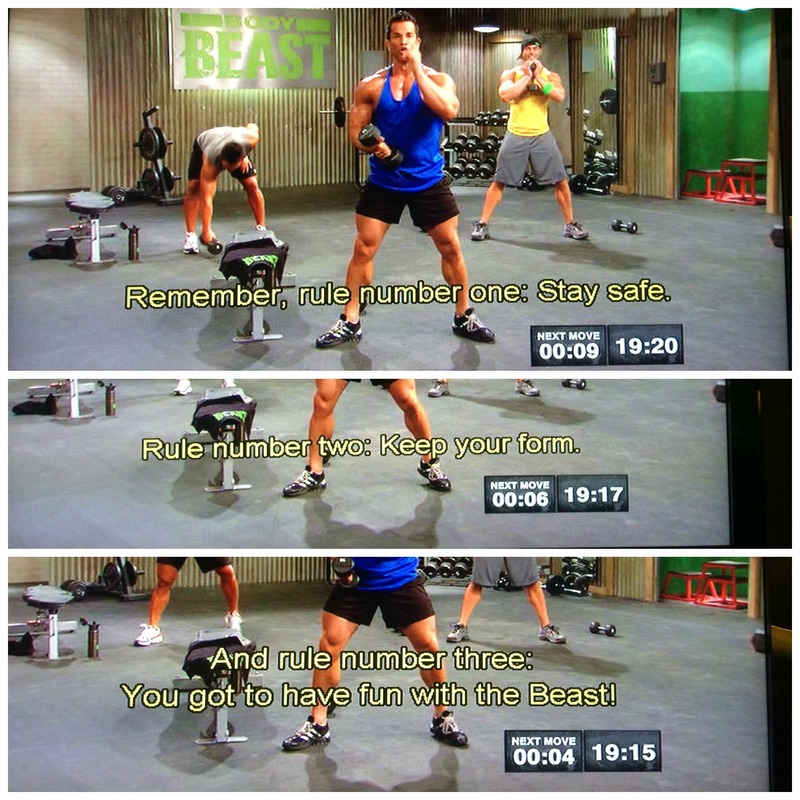 It’s called Body Beast and it’s a bodybuilding program – straight up. This isn’t lifting weights to music, it’s like going to the weight room at the gym. The program has 12 workouts designed to get BIG results in the comfort of your home. You do need equipment for this one. I bought new fancy dumbbells for it, and also use my jump mat, an exercise ball (that’s the one I have, but I got it with this fun workout! ), pull up bar (with Chin Up Max for me because I can’t do a pull up yet), and sometimes my Transfirmer as a bench. You can also use a workout bench and an EZ Curl bar, but there is always a limited equipment guy who uses dumbbells (resistance bands for the pull up bar stuff) and a ball. Had I not needed to expand my weight selection, I probably would have purchased a bar. Sagi Kalev, who does the training in this program is straight out hilarious, and that’s added to by the fact that my DVD player assumes I need subtitles for him! 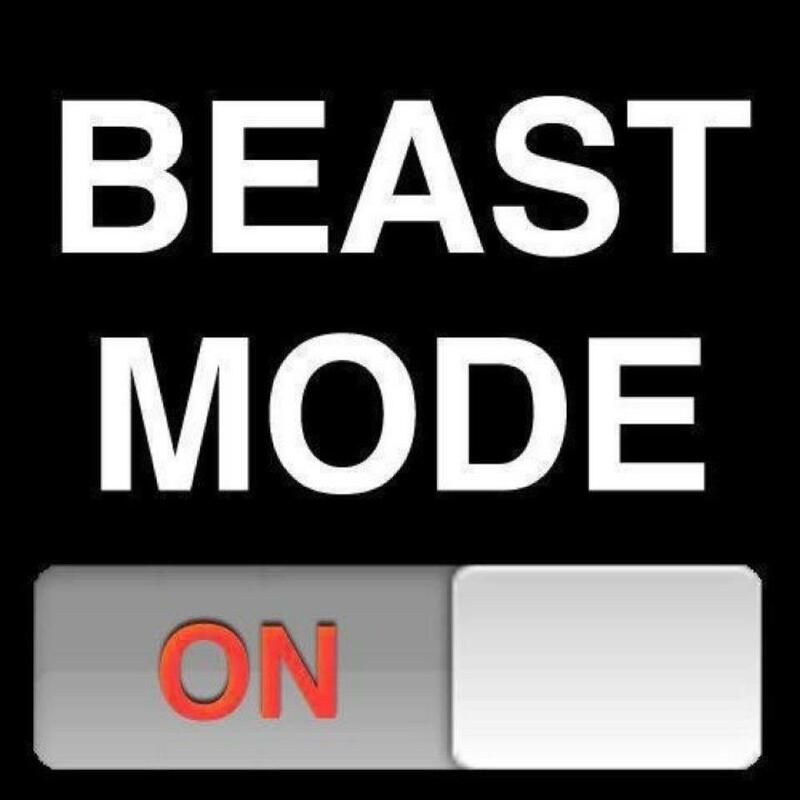 So far, I’ve done almost my first week of the Lean Beast program. There is also a Huge Beast calendar for those looking to solely add muscle, not also lean out. Ladies, there is nothing about this program that will mention you. That doesn’t mean you can’t do it! You will not get huge, you will not look like a man, you will not…I don’t know what else, but whatever you’re thinking. You WILL gain muscle, get definition, and as a side effect, feel like you are amazing. 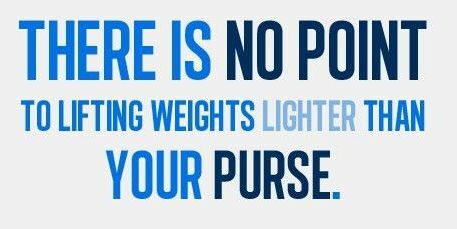 Do not fear weights! So expect a more formal and total review of the workouts and program as I tackle it. It’s 90 days long and I have two groups (one run by me, one Body Beast specific larger group) to help me stay accountable. 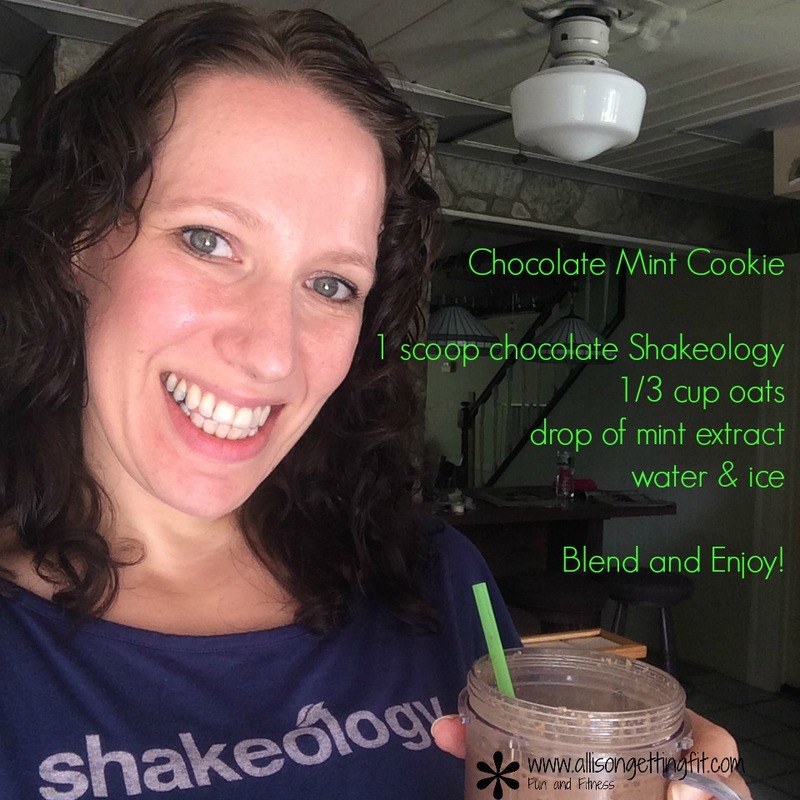 I decided to keep up the 21 Day Fix eating at a higher calorie level. My plan is to keep an eye on how I’m feeling and adjust that up if needed or to the plan in the Body Beast program if it’s still not fueling me. Speaking of the 21 Day Fix, the Spanish and English programs are both on sale for September. If that’s been on your wishlist (or thinking about it list), now’s a great time. Contact me with any questions! 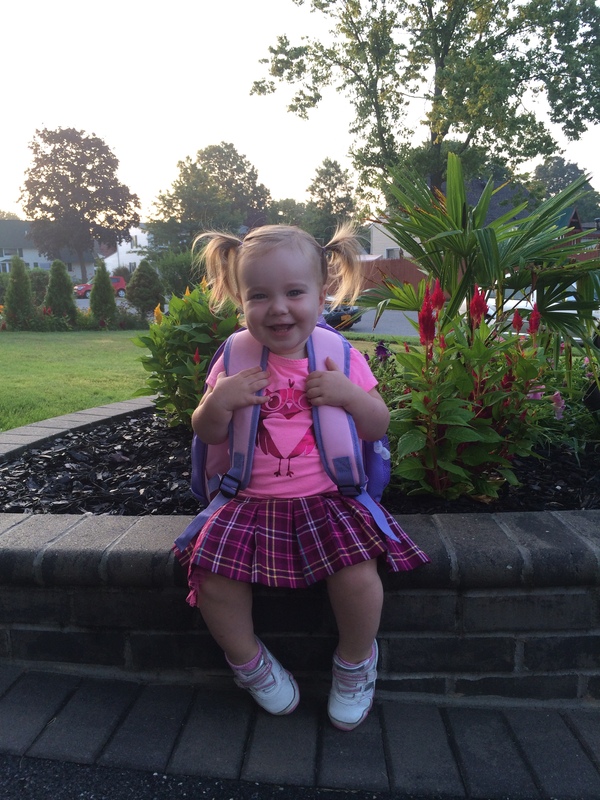 This week was also back to school for my cool chic! She has been having a blast with her friends after a few weeks off. I am so glad that she has fun at daycare, though I miss her so much while she’s there!! What are you challenging yourself to take on in September? What will make this a great month for you?